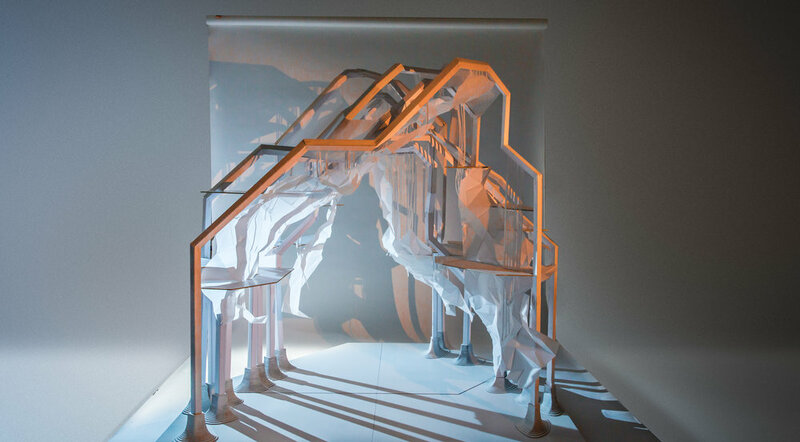 This project explores iterative translations of one set of data (a pointcloud scan of a cave) to various geometrical entities (line, surface, mesh) that form a self-supporting physical model, 1.75 meters in height and made entirely out of paper. These translations happen within a dialogue between computational intelligence (evolutational optimizations and structural-analysis) and the intuition of the designer - a dialogue between human and machine. 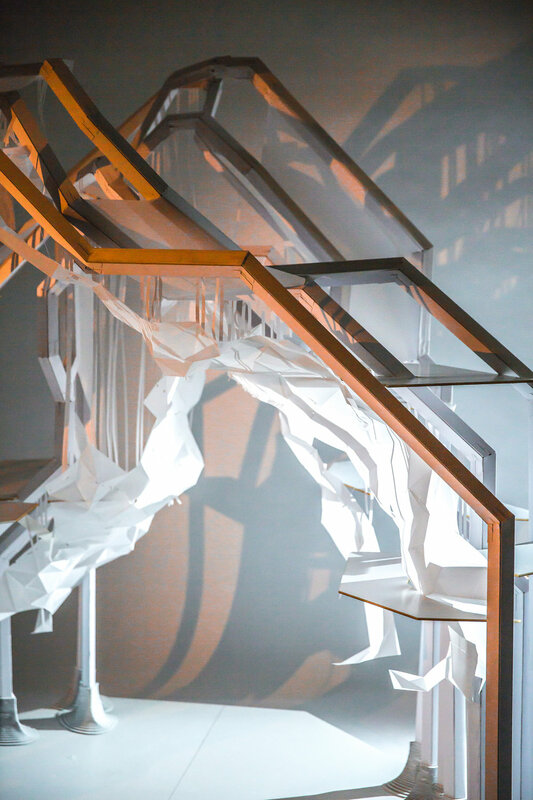 The final outcome was realised by developing a digital fabrication script, that would generate folding patterns, angles and identification of each beam element, so that a group of untrained individuals could assemble the paper-cave solely with the help of an augmented reality model.